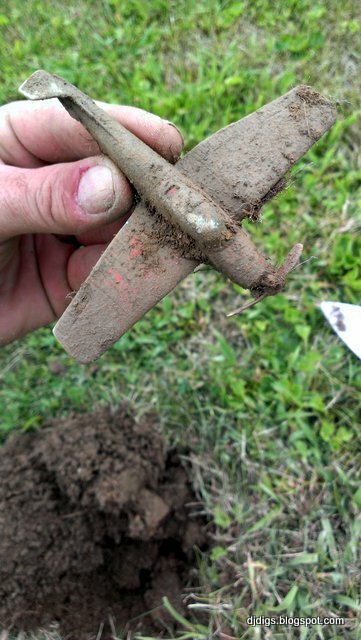 It's been a few days since I've been out digging and I had the itch. Luckily, I got permission to detect the front yard of a house in a development built for returning WW2 Veterans. I tend to have good luck at these sites, so I was feeling optimistic. I headed there right after work. 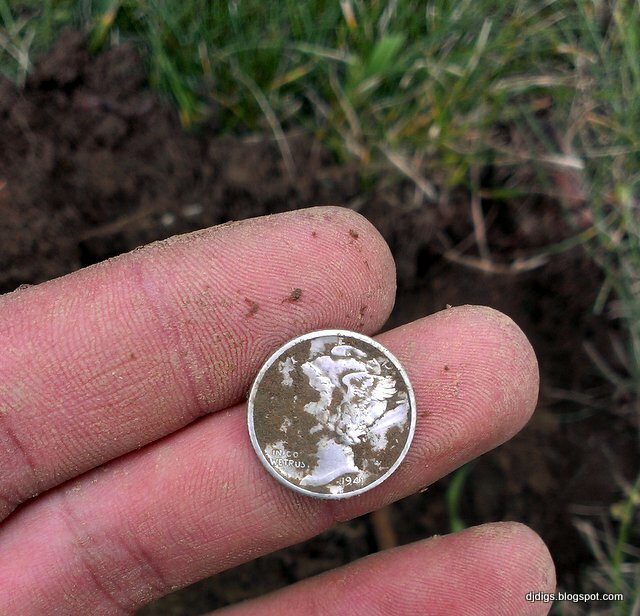 On my second signal, I dug a 1951 wheat penny. After a few modern coins, I found a 1941s merc in pretty good shape, and then more clad. Next, I found a toy plane. A quick search says it's a Tootsie Navion and they were made from 1948-1953. 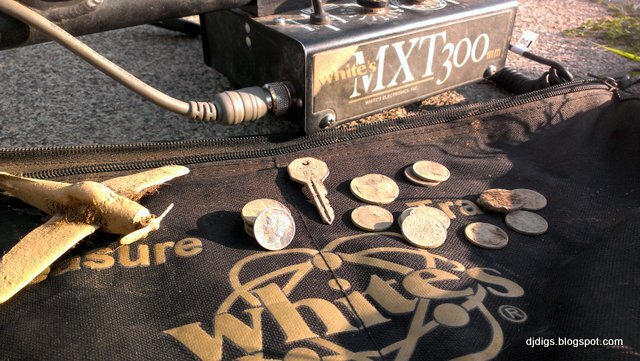 After the plane, I found a key and then a few more clad coins, so I called it day. It was pretty fun for a quick dig after work. Do you go on quick hunts after work, or do you prefer to make a day of it? 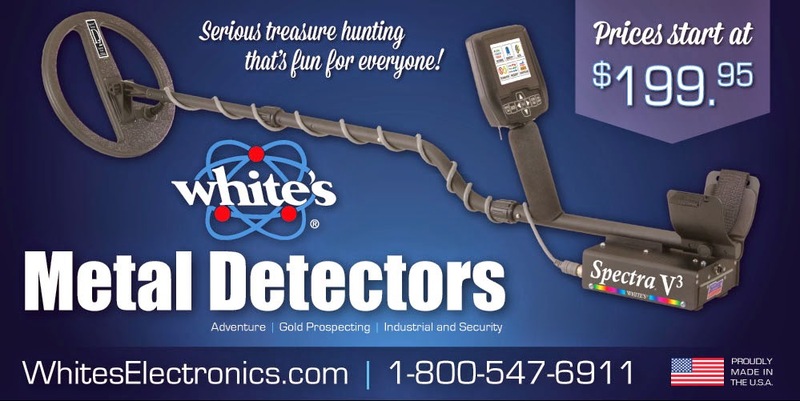 Do you get "the itch" when you haven't been out detecting in a while? Let's talk about it. Thanks for reading and keep on diggin'. Images & text are the property of DJ Yost. All rights reserved. Powered by Blogger.